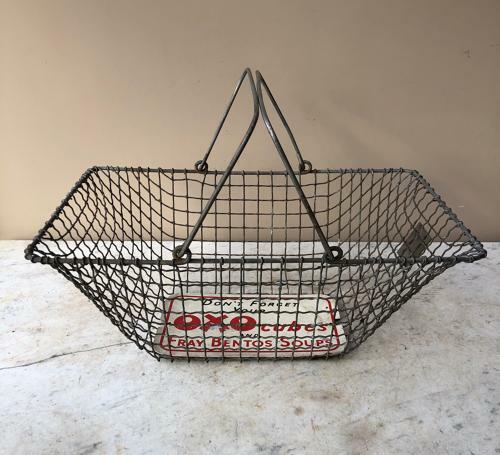 Hard to find, great condition Early 20th Century Grocer Shops Wire Working Basket with the original metal advertising sign in the base OXO. No issues. The measurements Height are not including the handles.